- Shim & Metal Processing Ltd.
Shim & Metal Processing is your reliable cost-effective partner in metal processing. 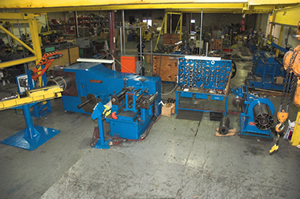 We started in 1999 producing shim and expanded our capabilities to include a range of metal processing services. Whether you need small or large quantities, we can process your ferrous and non-ferrous metal requirements in a single location and set up an inventory and delivery schedule with rapid turnaround to meet your needs.